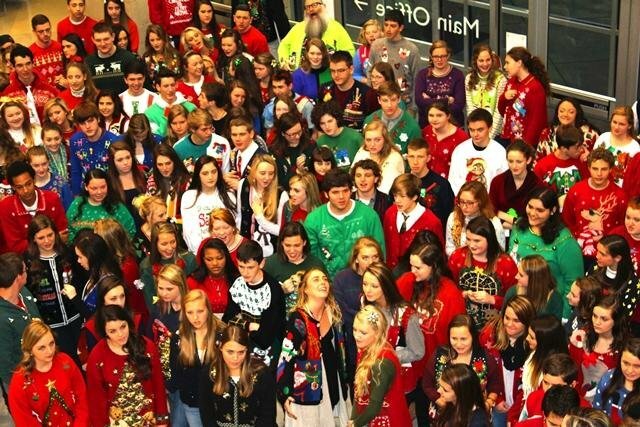 Heritage High: Highlights - Tacky Holiday Sweater Day is December 12th! Tacky Holiday Sweater Day is December 12th! HHS will celebrate our 11th annual Tacky Holiday Sweater Day on Wednesday, December 12th! This holiday tradition dates back to December 2008 during our first year. Heritage High Valedictorian (Class of 2009) Alex Lockwood began this tradition and thousands of Generals have participated!